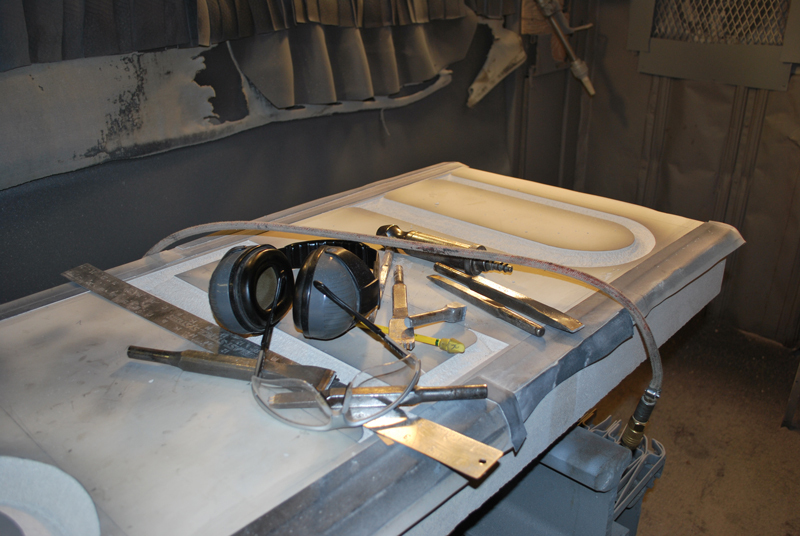 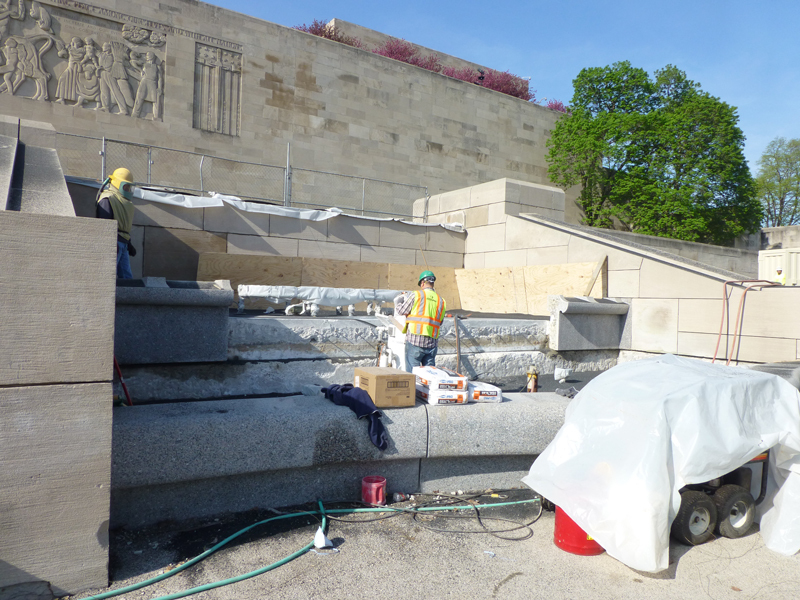 As part of the Gould Evans Design Team, our firm prepared construction documents and performed construction administration services for the exterior restoration work which was prioritized based upon the previous Stone Condition Assessment Report completed in 2010. 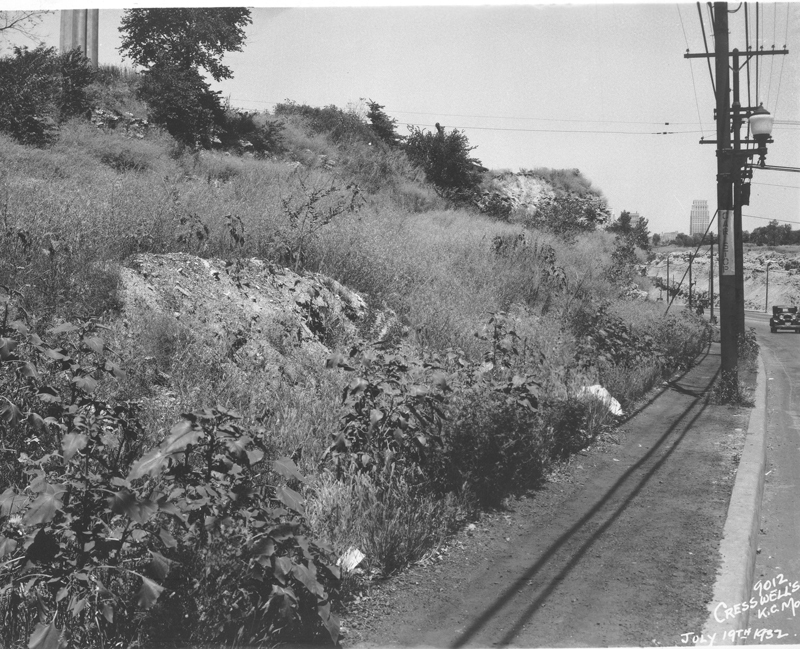 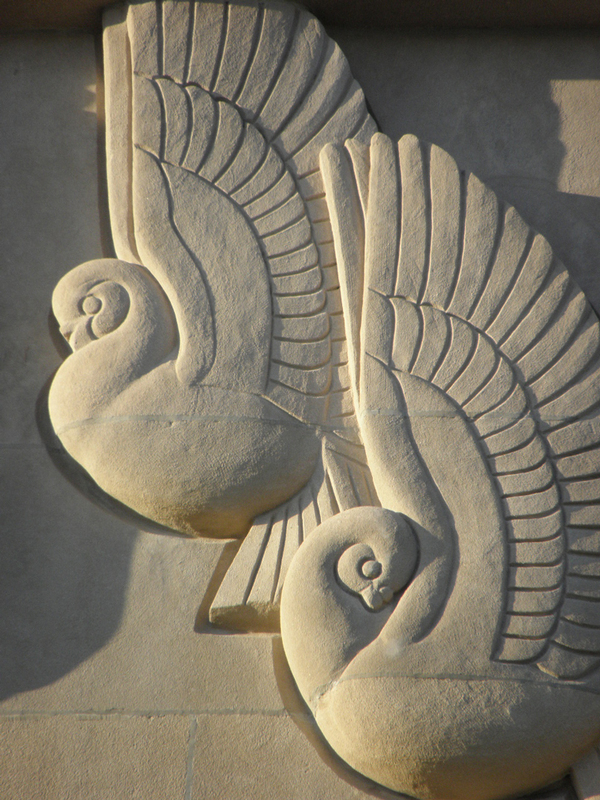 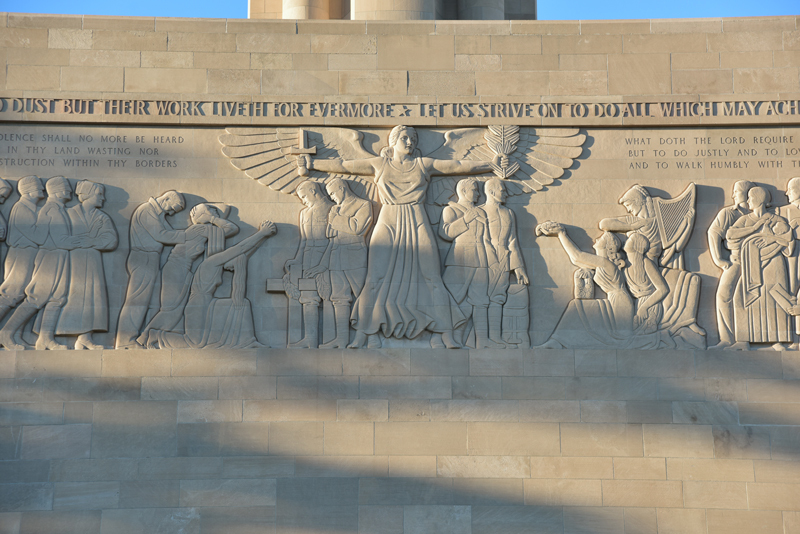 Detailed construction documents (drawings and specifications) were produced for typical exterior masonry work which included (unless otherwise specified) repointing, stone patching, cleaning and the application of a penetrating breathable water repellant for the following areas: Liberty Memorial Tower (typical masonry work plus restoration of the bronze entry door, structural investigation and individual stone replacement); North Great Frieze Wall (typical masonry work plus capstone flashing); New South Entry Wall and Doors (typical masonry work plus capstone flashing, new carved stone entrance signage and restoration of existing bronze doors); South Entry Fountain and Courtyard (new skimming function, granite paver and pedestal replacement, new granite veneer at stepped planters); Main Street Retaining Wall structural repair and replacement; North Fountains (typical masonry work plus custom porcelain glazed tile and mechanical/plumbing upgrades); Memory and Exhibit Halls roof replacement and exterior bronze entry doors restoration; Site Stairs(typical masonry work plus individual stair replacements); Generals’ Dedication Wall (typical masonry work plus select stone replacement and bronze busts and plaque restoration); Monument Stairs throughout the site were cleaned and had new sealant installed, and new walking trail, exterior lighting and security improvements were installed. 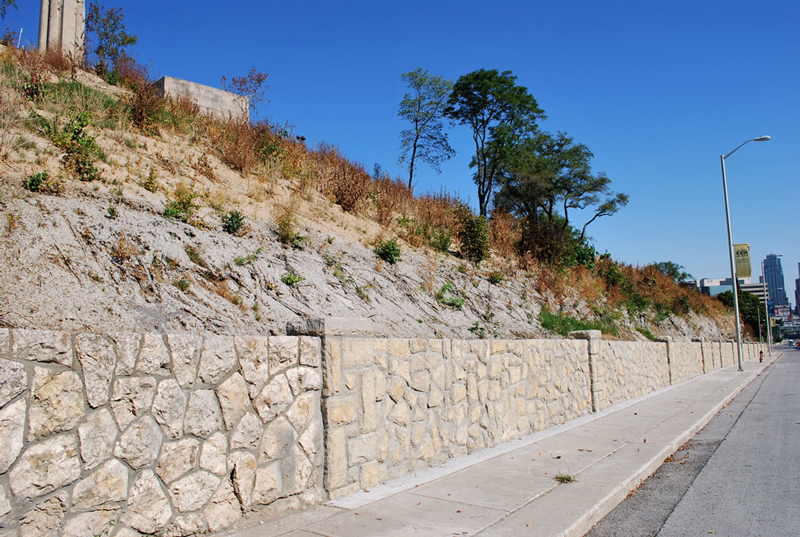 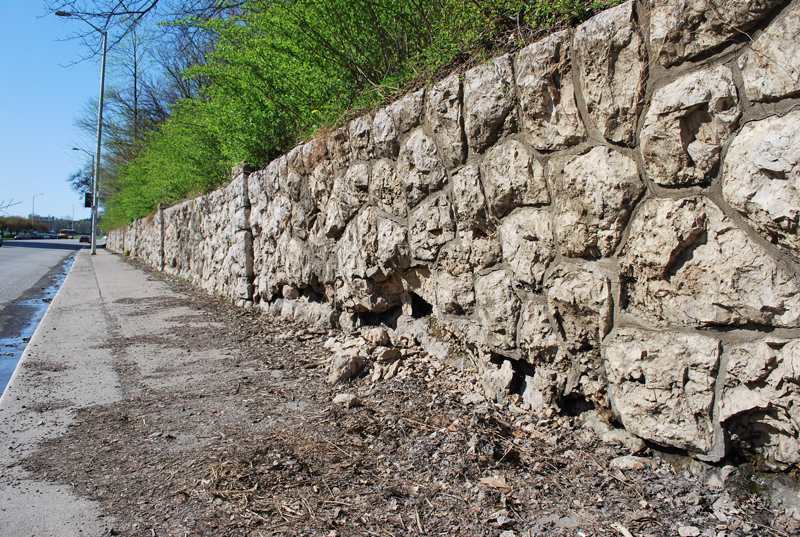 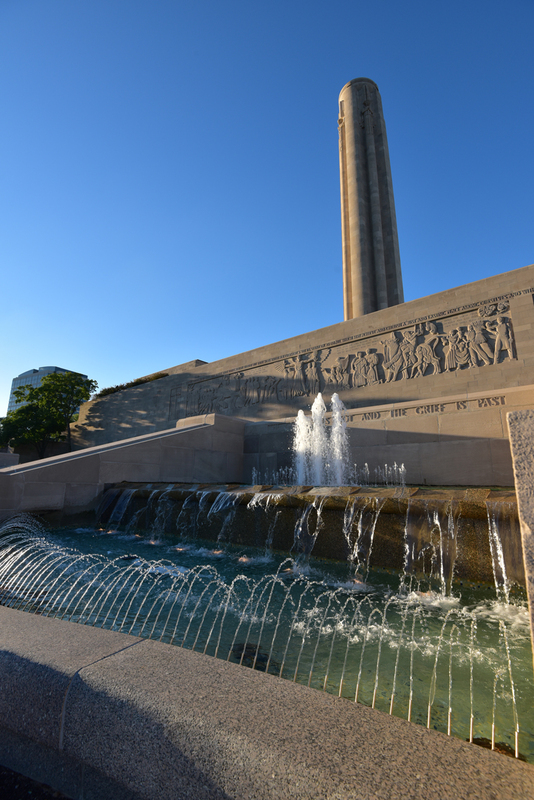 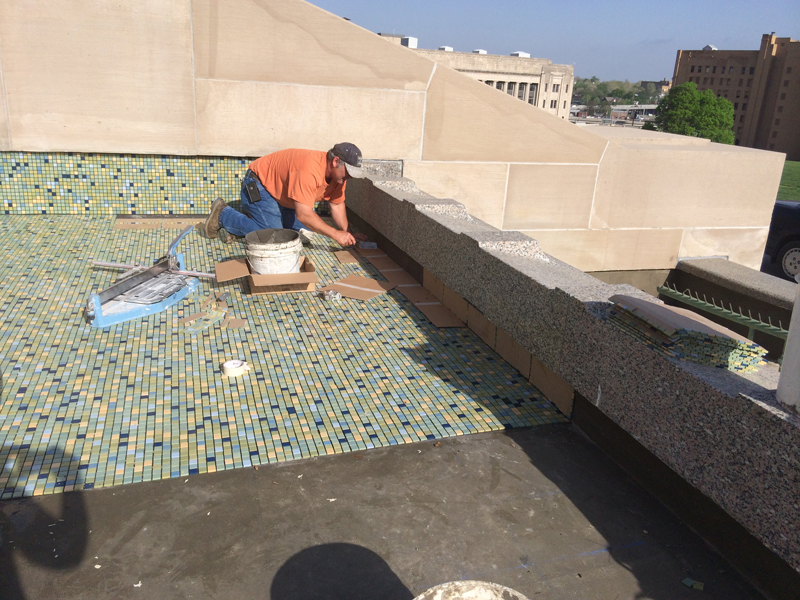 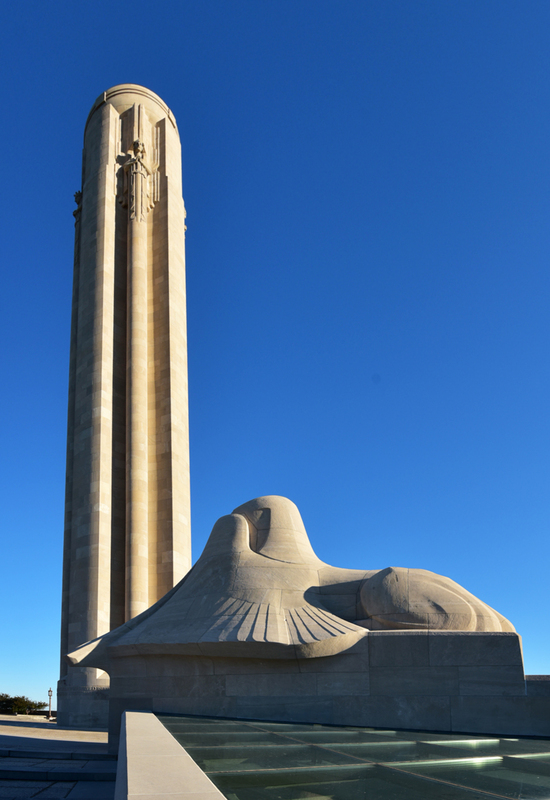 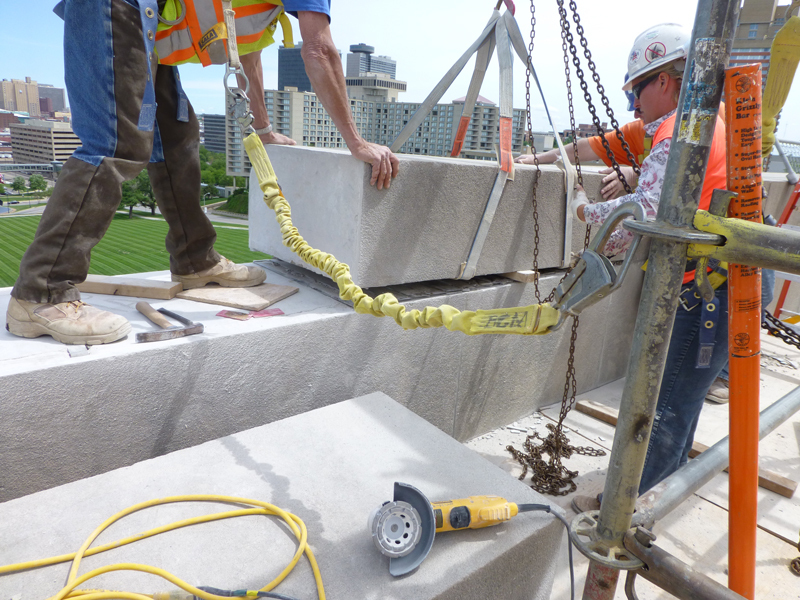 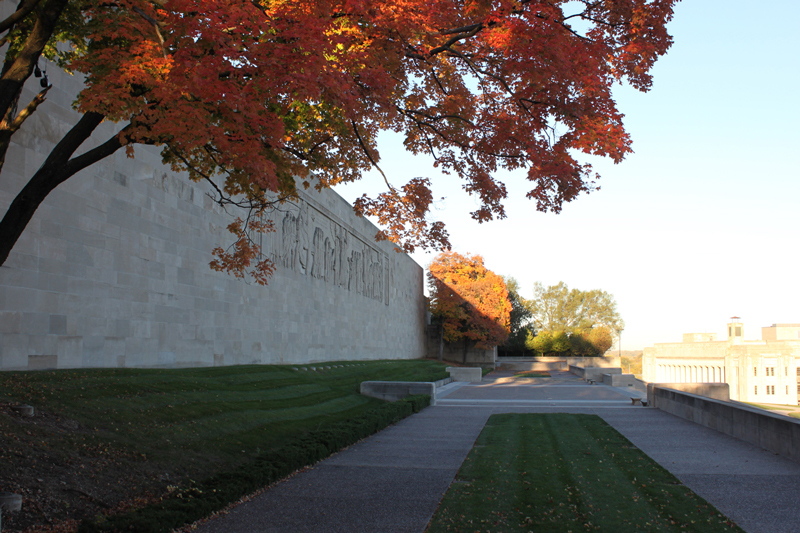 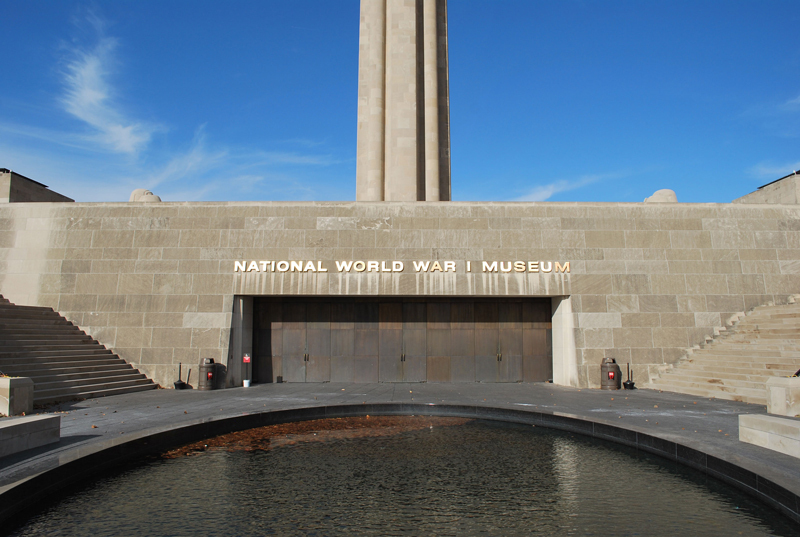 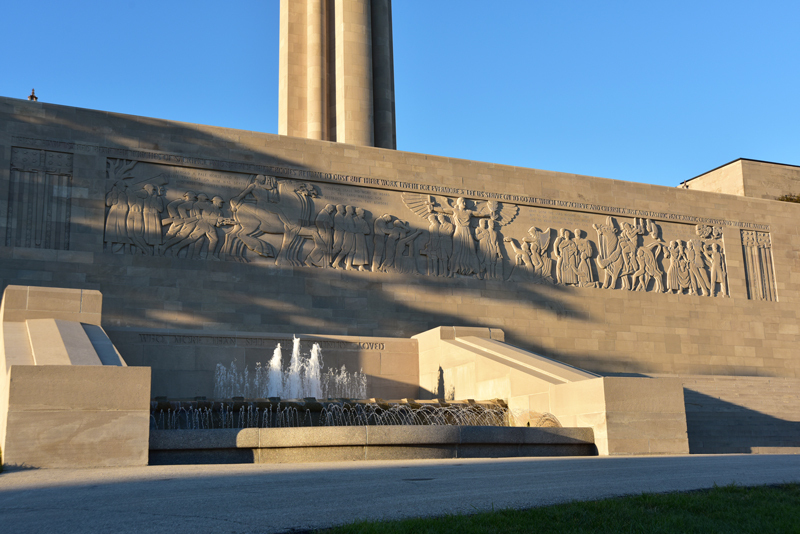 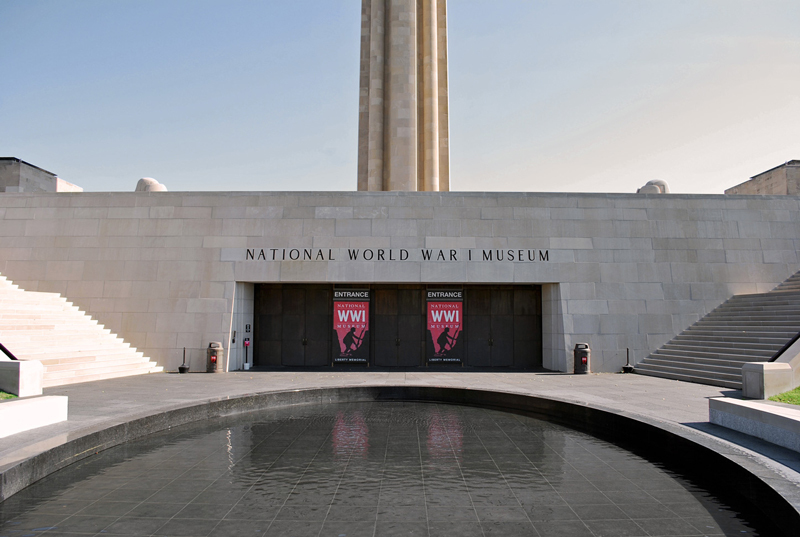 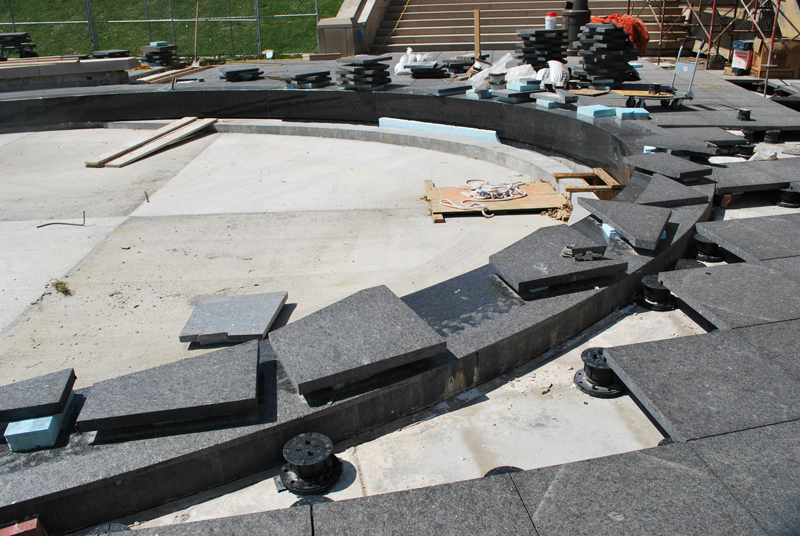 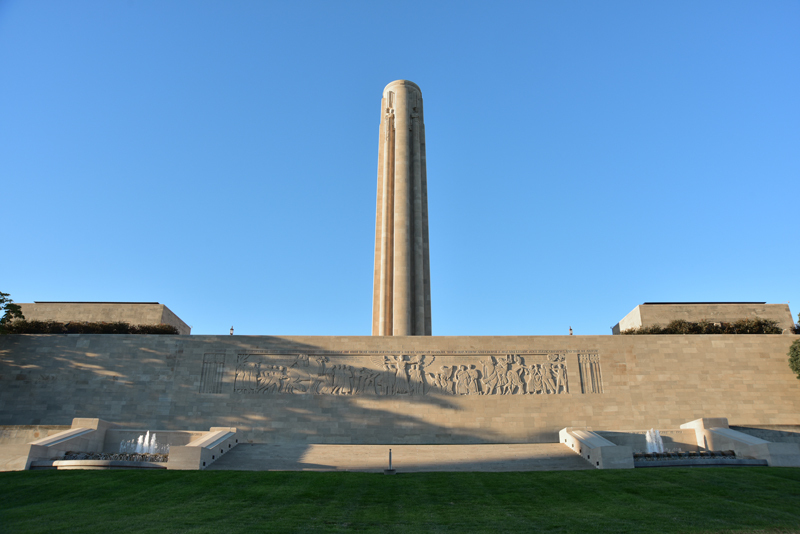 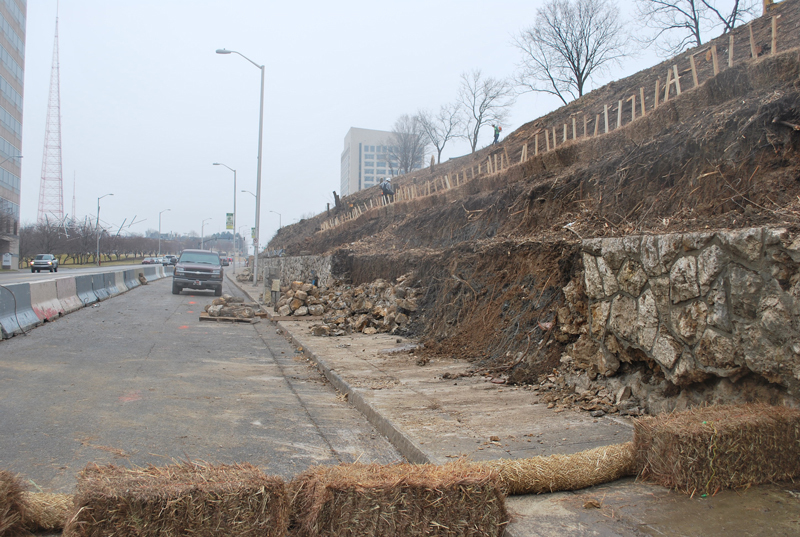 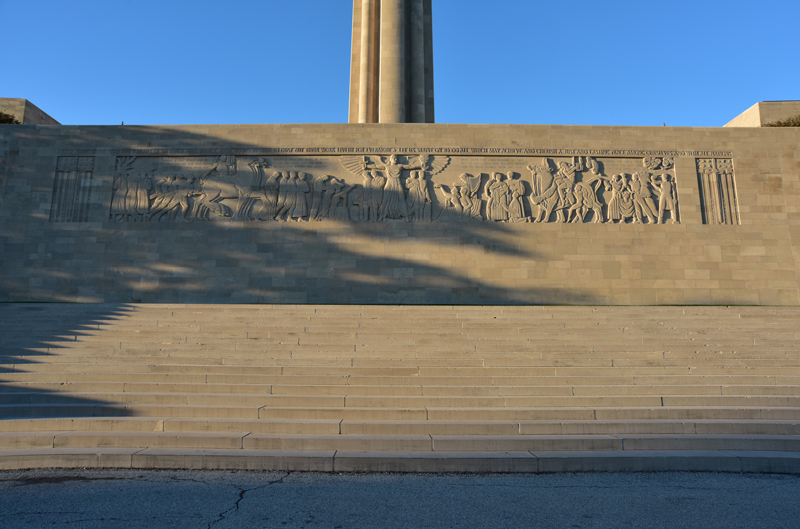 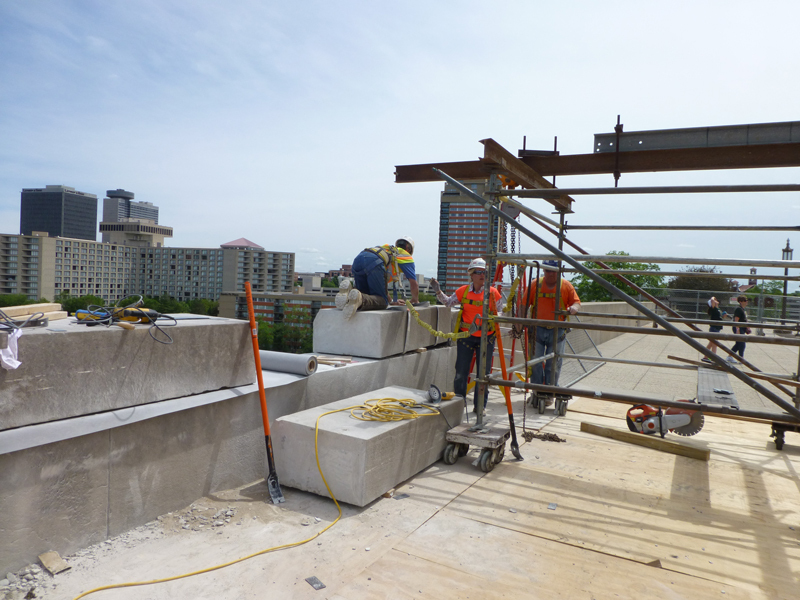 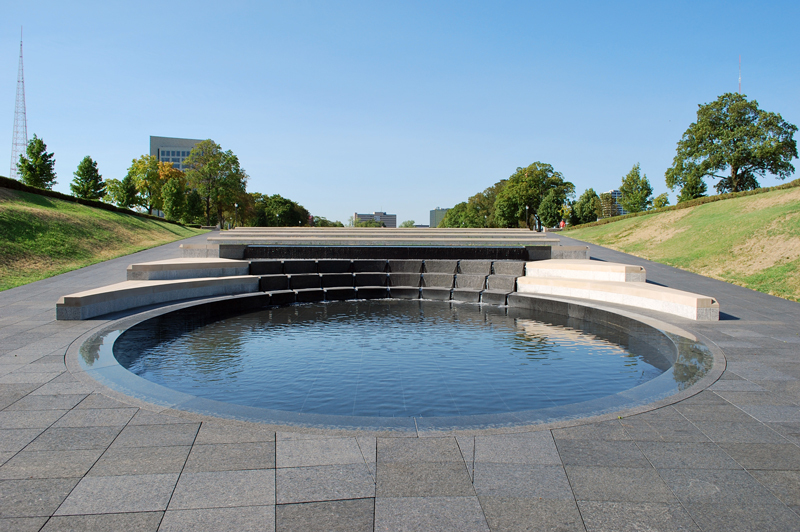 In collaboration with the National WWI Museum and KCMO Parks and Recreation, STRATA developed a long-term exterior maintenance manual which outlined maintenance schedules, products and activities for the future stewardship of the property.